Dr. Pins ky is currently practicing a patient centered approach through MDVIP. 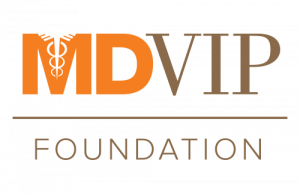 MDVIP is a nationwide network of physicians whose sole purpose is to provide superior individualized healthcare. MDVIP makes patient medical issues their top priority. As an MDVIP physician, Dr. Pinsky takes pride in doing just that for each and every patient in his practice. With MDVIP, all patients have the ability to contact Dr. Pinsky 24/7 via text, email or voicemail at which he will personally address their concerns that same day. Patients will typically see Dr. Pinsky for same day appointments, which is particularly advantageous to any of his patients who travel. 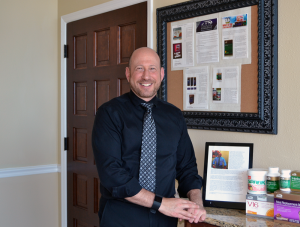 In addition to the contact the patients have with Dr. Pinsky, all office visits are performed by him directly, the physician, there are no nurse practitioners or physician assistants and all routine appointments are 30 minutes. As a patient of MDVIP, each patient will receive a yearly wellness exam which is 90 minutes long. This exam also involves laboratory and diagnostic testing that is not routinely performed in traditional practices. Dr. Pinsky believes these are vitally important to PREVENT disease. During this wellness exam, Dr. Pinsky will help you plan new wellness goals and ways to achieve them. MDVIP offers the availability to see any of their 800 affiliates if a patient needs to see a physician on an urgent basis while traveling. MDVIP is also associated with 22 centers of excellence including Mayo Clinic, Cleveland Classic and the University of Miami here in Florida. If a patient’s care requires this level of service for our guidance or second opinion, we have direct contacts to make this occur expeditiously.